I imagine there are a number of you Freespace peeps among us - both my hands are certainly raised. After the crowd sourcing success of Chris Robert's "Star Citizen", its made me go back and revisit games such as Homeworld, Freespace and Tarr Chronicle's (which I only just discovered yesterday. Will let you know how that winds up). In any case, here are two Freespace open source projects in the works for your salavationary glands to drool upon. Seems like they've been in the works for a while and won't be completed anytime soon, but it seems they're playable or at least partly playable. I got in to FSO in a big way a couple of years ago thanks to these guys. It's good to see it's still going, I always enjoy seeing what they can get out of that old engine. They've added so much over time, it still looks decent, and that's an achievement. I've also downloaded Diaspora, since I am a big BSG fan, but I've not even had a chance to install it yet. Aaaaand something else I just found provided from yours truly, Gamespy. Okay, well not exactly FS2 butttttt..... Strike Suit Zero is set to be released in 15 hours. Not that I'm paying that much attention. Also to mention, Paul Ruskay, the original Homeworld composer has worked on this title. Win for space opera. 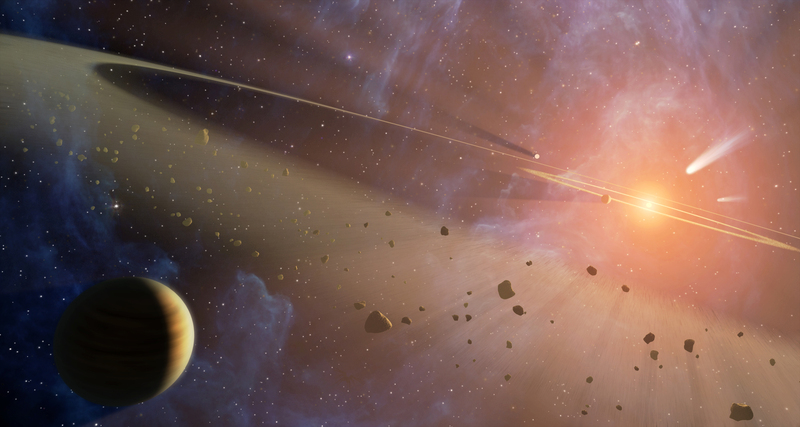 Not Freespace related, but I found this NASA conceptual art of Epsilon Eridani the other day (the system where B5 is located), in which the NASA artist hid a Shadow vessel. Play. Strike. Suit. Zero. Now. They've managed to pull off a very Freespace / Homeworld feel. This is the space sim I've been wanting to play for years. Now, let's just hope the second mission is as good as the first.